In a world where legends are being created every day in every field. The field of a startup is all set to create some superheroes. Every startup involves great effort and teamwork and passion. We at TBS planet believe every startup has a story to tell that could inspire people all around the globe. This time featuring Jay on his journey to set Veda Media House. 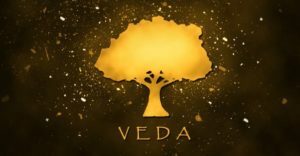 Veda Media House is a Mumbai based Production House, committed to delivering output as per International Standards. We offer a wide range of solutions from Films/Ad Films/ Web Series/Music Videos/Animation /Social Media Marketing and much more. We always look forward to attaining pre-determined goal & have successfully achieved the same for our reputed clientele from different industries. Jay Bhansali, Founder of the Company, has worked on various projects over 10 years in the industry and now he provides his experience and expertise to the clients we cater. We believe in giving best creative solutions, at a very affordable price. Watching my uncle direct ad films and videos, I happened to build a towering interest in the media world. I believe that exposure is all that matters in today’s time. I got it while I assisted a few projects and bagged a few awards while I was working during my college days which really helped me in boosting my confidence. Knowing that it’s a very tough industry to crack through and making a mark is one difficult task. So one day I was just sitting by the waters in Bandra, and I just thought to myself, why to be a part of someone else’s market when you can create your own. It was then that the idea struck of beginning with something of my own, Veda. 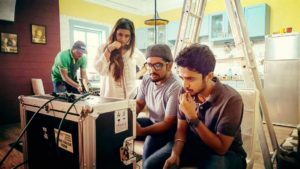 My love for direction and cinematography had become my passion and then a full-time career. Veda was founded in 2013. To lay a strong foundation, one needs to have a team that can pull it off together. Since inception, I have three core members working alongside me. They head respective projects with a full-fledged team under them. Nikhil Sen, popularly known as the Reel Chruncher is the man who turns every raw video into a final, beautiful one. Mind-blowing ideas for editing seem to be running through his mind all the time! Vidhi Patel, the project Guru as we call her, manages every detail to be looked into for a quality deliverance. She’s the one you’d usually find active on emails than on Whatsapp! Palak Thakker, our Grammar Nazi, is our Content Strategist. She makes sure to look into the planning and quality of content for every media. With them, my journey as Veda Group hasn’t just been mine, but ours! To be very honest, we don’t see any competition. We have created our own market, where we work in our own spaces. There are times where we have gone my way out and collaborated with our competitors and worked on a project. So yeah. Our startup is different from others in many ways. We provide quality services at affordable prices. 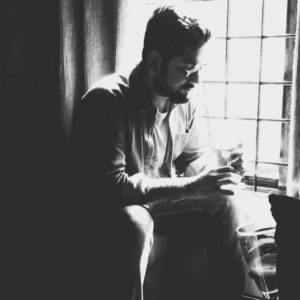 Now you’ll say what’s so different about it, every other startup nowadays is doing that, but the USP here is that the team working on our projects is the team who works on the biggest of tvc’s and other projects. And for us, profits are secondary but good work is the primary motive. We look at creating some outstanding piece of work in which we believe and we are proud of it too. The revenues are good enough to run the company, haha! We work on a margin of anywhere from 20 – 50 %. We’ve already to expanded ourselves into the social media business. Also working on a couple of product categories (on the initial stage). We are also planning to expand ourselves in different cities. We are working on a feature film as well. Also, about to get into a digital platform which will be in partnership with a friend. So don’t think much, just get up and do it. There’s nothing called as trying, you either do it or you don’t. One very most important thing is that remember that being an entrepreneur is all about lifting up someone else first when you want to be lifted up. The only way to great work is to love what you do.